"Putting faces behind the facts is crucial." Refugees always seem to be in the news. But beyond glimpsing catastrophes — the children funneled into slavery, the men and women drowning at sea on their way to safety, the refugee camps without water and sanitation — many people are unfamiliar with the history and consequences of the refugee crisis. After all, refugees are the most marginalized people on Earth and have little opportunity to advocate for themselves. 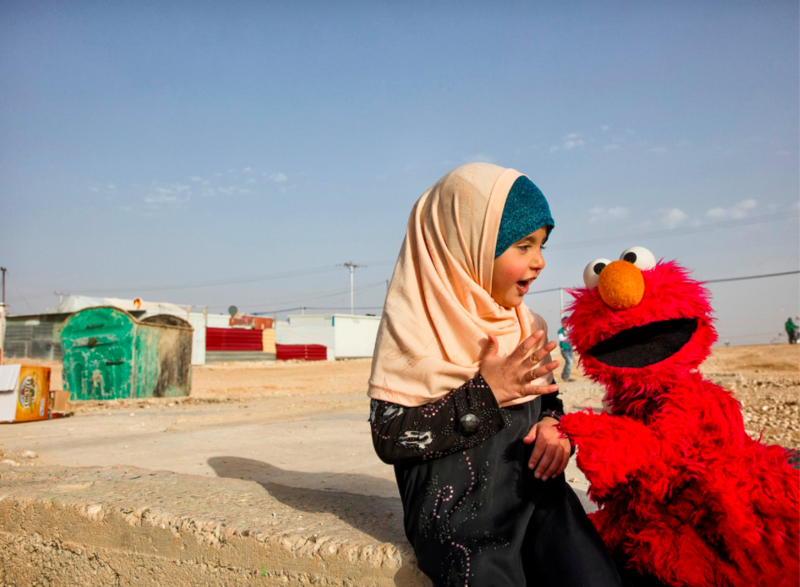 So in honor of World Refugee Day, Global Citizen teamed up with the International Rescue Committe, Education Cannot Wait, and the Sesame Workshop to address some of the lingering questions that people have regarding refugees in our first-ever Tumblr Issue Time. We were blown away by the response and were reminded that learning about refugees is an ongoing, life-long process. The best way to know more about refugees is to familiarize yourself with the organizations helping refugees, read about the crisis on websites like Global Citizen, volunteer in your communities, and listen to the stories of refugees. In the meantime, here are some of the stand-out moments from the Issue Time. Q: What are some of the most common mental health issues (or physical health) that refugees might face in the aftermath of their upheaval (especially if it's a very violent, traumatic event), and what are some things that can help? What kind of processes can be used to help these people — not necessarily official therapy, but like how regular people or friends can help? Are there any personal routines for them that could help? The experience of being uprooted has such wide ranging effects. It’s traumatic to lose the places where you live, learn, work, and play, all of which are fundamentally protective environments. Imagine having to leave the country you know, the school you love, the teachers, friends and family that keep you safe. Education is an essential right and basic service to help children and their families cope in the aftermath of these devastating and cruel experiences, and to use their resilience and resourcefulness to rebuild themselves, their communities and — when peace comes — their countries. Conversely, when refugee children are out of school, they can also find themselves in terrible danger – they are easier targets of abuse, exploitation, and recruitment by armed forces and groups. Everyone has a chance to make a positive difference by welcoming refugees into their communities, school systems, and societies. We can help break the isolation and ensure that refugee children who’ve suffered unimaginable horror, do not continue suffering or become subject to further abuse and violence because we denied them opportunities. Q: We clearly recognize the importance of protecting refugee communities and those most vulnerable; however, and even though a big step into doing so is recognizing such importance, I believe action is still absent. With threat said, I would like to ask you, what can we do to improve refugees' lives from our local communities? There are many ways to improve refugees’ lives. Much starts with kindness and empathy. If you were in their shoes, what would you miss the most, what would be the first things you would look for in a new community? Food? Friends? Clothing? Housing? Schooling? Books? Pretty cliche, but ‘do unto others’ is always a good start! Refugees are people just like us and before conflict or crisis destroyed their homes and lives, they probably lived a fairly similar lifestyle to you or I. That changed overnight so however you can help them bring back a sense of normalcy through your words and actions counts. So does genuine listening and interest in their backgrounds. Your local council should also be able to share information on local activities like food and clothing drives or buddy systems to help refugees integrate. Global Citizen also recently ran a dinner for refugees which was a great way to interact with and breakdown barriers. 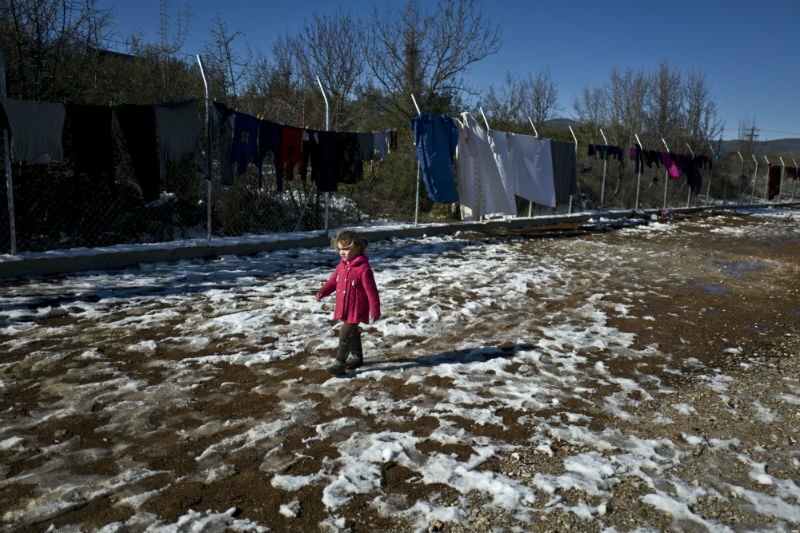 Q: What is it like for children in refugee camps? I imagine it must be confusing and difficult, especially if their families are separated. 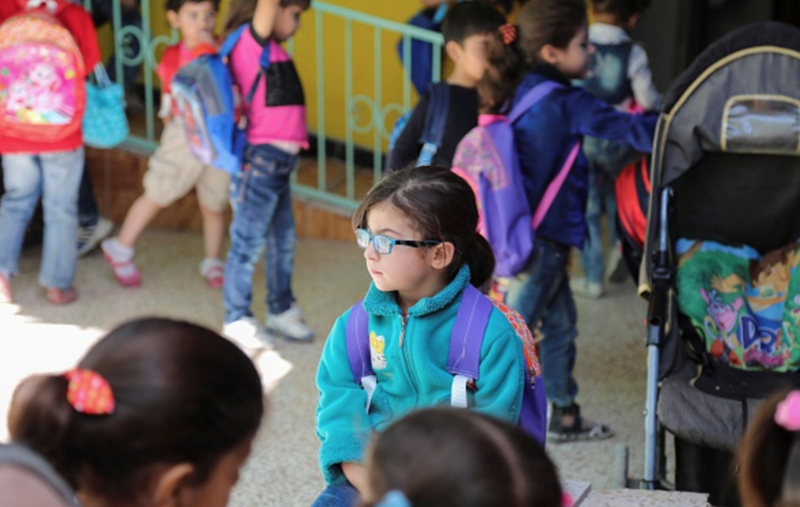 Our Sesame Workshop and IRC teams just returned from Jordan last month. Spending time with refugee children and their parents and caregivers is at once heartbreaking and heartwarming. Many have experienced unimaginable loss – the loss of parents, siblings, and friends, and the loss of their homes and a feeling of safety. But, in the face of remarkable tragedy, all parents and caregivers simply want what’s best for their children – to give them the tools they need to thrive. 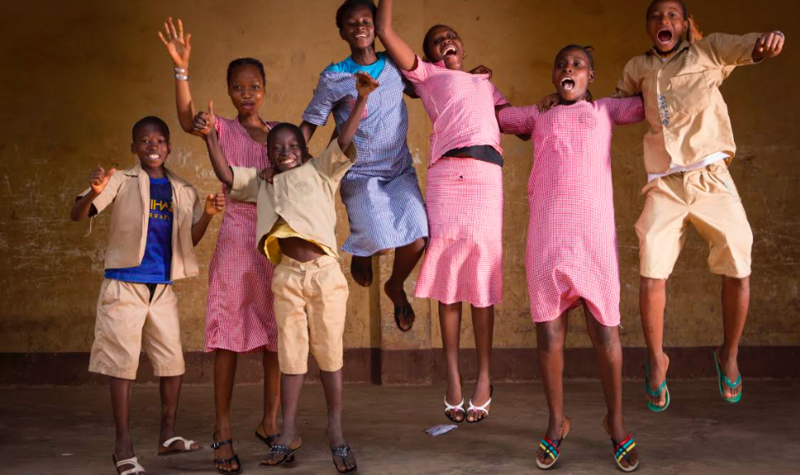 The international humanitarian system has failed to prioritize refugee children’s educational needs in a serious way – but Sesame Workshop and IRC are partnering to change that. By pairing IRC’s expertise and on the ground infrastructure serving refugee families – from health care workers and home visitations, to healing classrooms and child care centers – and Sesame’s proven ability to create engaging, educational content, we know we can bring children and families the support they need and deserve. Many refugee families don’t live in official refugee camps – in fact, most live in informal tented settlements or within host communities in surrounding countries. The mass media content Sesame Workshop is developing will also promote mutual respect and understanding, both within displaced communities and between refugees and the host communities in which most refugees live. Q: Have you ever had the chance to meet a refugee or visit a refugee camp? If so, did this change your perception of refugees and the challenges they face from before? I have been to transit camps in Lesbos, Greece where refugees from Syria, Iraq, and Afghanistan were waiting to get a ferry to the mainland. And I have been to Lebanon where the IRC and other aid organizations are helping Syria’s who are fleeing the war. When I was in Greece, there is a long, dry, hilly road to walk from the side of the island where people arrive by life boats, to the side of the island with the ferry to the mainland. The people on this road have been traveling for weeks sometimes, and I was amazed at the number of families: a young woman carrying her baby, with a grandfather carrying powder formula and a bundle of clothes, two mothers who teamed up to share the job of encouraging the children to keep walking. They would tell me about their lives and homes back in their country. They were teachers, electricians, one man owned his own dry cleaning business. They had not wanted to leave and waited until it was so gruesome and hopeless they couldn’t stay any longer. Q: What can I do to be an ally to refugees? Elmo knows a lot about friends because Elmo has all kinds of friends on Sesame Street. Elmo knows that Abby Cadabby and Big Bird and Alan and everyone else on Sesame Street are Elmo’s friends because they play games with him and have lots of fun with him, but mostly they are kind to Elmo. Like when Elmo is sad about something, Elmo’s friends always listen to Elmo and help him find ways to cheer up. When Elmo went on a trip with Miss Sherrie to Jordan and met new friends there, they were really kind, too, even though they were sad because they had to leave their homes because it wasn’t safe for them there anymore. So if “ally” means being a good friend, Elmo thinks the best way to be an “ally” to all the people like his new friends in Jordan is to be kind to them! Q: I've heard so many people talking about how refugees should go back to their own country and not come to ours, and it makes me feel sick to my stomach. How can we change their minds about this? How can we prove to them that they are people just like them? Great point. I couldn’t agree more. Another crucial way to show that refugees are just like any one of us is to show the real, human stories. A great way to do this is to have them meet a refugee in person (who may be a local business owner or worker!) and learn about their story face to face. You can also show incredible refugee stories online, like the story of the Syrian Tlas family and how their thorough vetting process was like. You can show them the story of Salam, an Iraqi refugee and business owner in Boise, Idaho or even the story of Mulu, who was the first immigrant president of his high school class. These are just 3 of thousands of stories of real refugees who are incredible people. Putting faces behind the facts is crucial.